Looking for a USED BNC-4000X6000? Located in Taiwan - a vital communication position of the Asia-Pacific region - Buffalo Machinery is a global provider of metal working machines, which produce strong, robust and precise machine tools together with exceptional customer service. Buffalo Machinery provides a complete line of CNC vertical machining centers, CNC horizontal boring and milling machines, CNC lathes and 5-axes high speed machining centers. These products can be used and applied to multiple industries including, but not limited to: aerospace, automobile, energy, shipyard building, die and mold, medicine, agriculture, oil and gas. View more about Buffalo Machinery Co. Ltd. 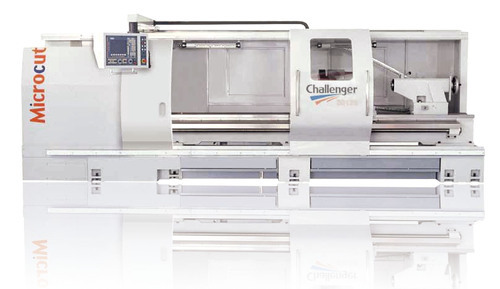 Looking to Purchase a New MICROCUT BNC-4000X6000? 35 Pinelawn Rd. Ste 203 W.
Shaanxi Mingda Machinery Tech Co., Ltd.
Wuhan Milanni Machinery Co., Ltd.